(H. annuus) A well-adapted introduction, most likely of Canadian Mennonite origin, later adopted by the Tarahumara tribe. Solid gold flowers are 8-10" in diameter. Primarily ivory-colored edible seeds with an occasional striped seed. Tolerant of poor conditions. Plants grow 6-9' tall. Annual, 80 days. Instructions - Sow seeds outdoors after last frost. 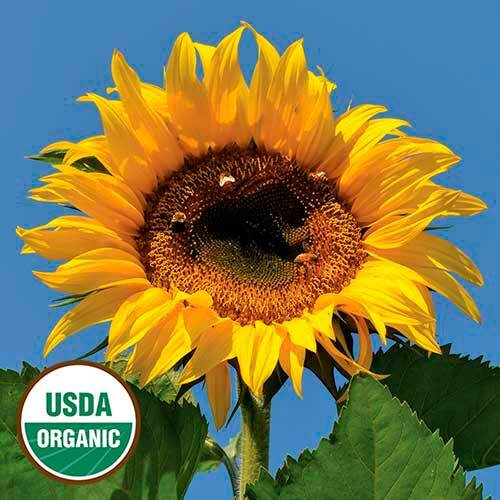 Sunflowers prefer full sun to light shade and well-drained rich soil. Provide support for tall plants.